This is a scene from the post-apocalyptic Sci-Fi film Soulweaver: Requiem for Earth. 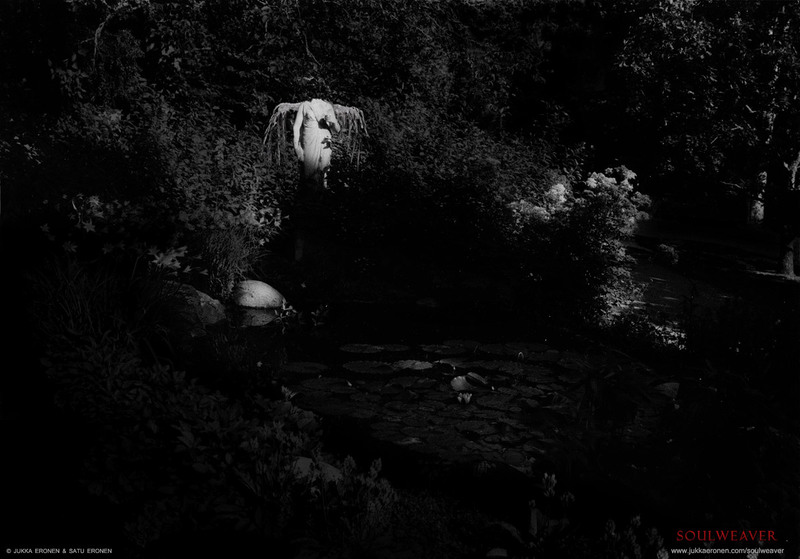 The black and white photograph Angel is by Jukka Eronen & Satu Eronen. 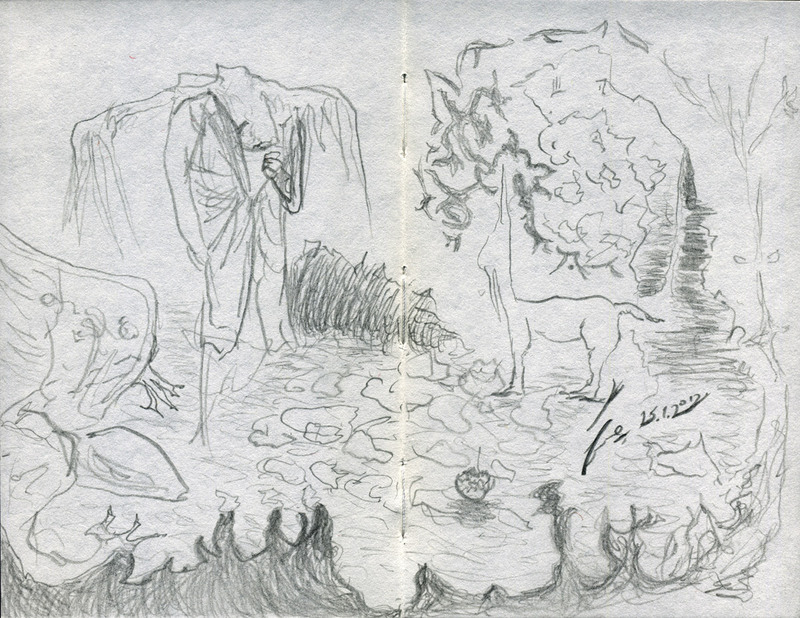 The surreal pencil drawing The Meadow (2012) inspired by the film scene is by Jukka Eronen, 20×15 cm (from the Apokryfia book #11 Lambda).